The intricacies of cable often go undetected by consumers who are on the receiving end of television services. However, it is important to understand how cable is provided to the city and through what means it is acquired. Luckily, the agreements between the city and various cable companies give insight into this complex process of financial negotiation and what cable providers are required to supply. Popular Pittsburgh recently discussed the logistics of cable contracts with local public access media corporation, PCTV (Pittsburgh Community Television), to find out more about this process and how they are affected. With the initial logistics squared away, it is necessary to discuss the process that follows. Because of their use of public space, the cable companies then provide certain benefits to the city- that are similar to forms of rent. The only required benefit they must provide includes the 5% gross cable television revenues from Comcast and Verizon that the city receives. This money is put into the general fund for the City of Pittsburgh’s budget. Another benefit “is funding for PCTV and for the City Channel Pittsburgh, which shows city council meetings and other programming relating to city government” says PCTV’s Executive Director, John Patterson. However it is important to note that the funding for PCTV and the City Channel of Pittsburgh does not come from that 5%, but from a “per subscriber, per month fee that the city negotiates as part of the cable franchise” says Patterson. 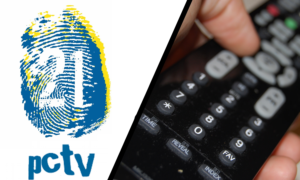 The cable companies are not legally obligated to provide funding to PCTV or the Pittsburgh City Channel. Looking back at past franchise agreements, while the negotiations between the city and these cable companies have continuous power over consumers across Pittsburgh, the last agreements were signed in 2009 for Verizon and 2010 for Comcast. Over the past decade since the franchise agreements, the amount per subscriber funding of PCTV and the City Channel Pittsburgh jumped from $0.45 per subscriber per month to $0.90. In 2018 this amounted to over $800,000 and was split between the two local media corporations. Overall, it is important to understand and stay up to date with the City of Pittsburgh and cable providers, as it is the public who is impacted at the end of the day. For example, the franchise agreements also supply discounted internet service to community facilities, and high speed institutional networks for transferring city data and information between city facilities. In this sense, the networks that civilians use daily are directly affected by such cable agreements. Additionally, the ability to enjoy local media corporations such as PCTV is directly linked to the intricacies of the franchise agreements between the city and Comcast and Verizon. As Pittsburgh awaits to renew its contract with Comcast and Verizon in the upcoming years, the mutual benefits that each of these provide is sure to continue to fuel the cable industry in Pittsburgh.